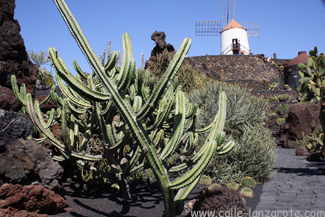 Can you bring back a cactus from Lanzarote? Have you ever been on holiday and not known whether you are allowed to take something back home with you? This was the problem facing us last year in a Lanzarote supermarket where there were cacti for sale. The cacti were packaged almost as presents, so it was an enticing thought to take one or more of them back to Germany with us. Except, of course, being in the middle of a supermarket on the outskirts of Arrecife is not the best place to get information on whether you are even allowed to take them off the island, let alone import them back into mainland Europe. In these days of Europe “without borders”, it is easy to forget that customs laws still exist for certain products, and I was pretty sure that cacti would be something that needed looking into. On the other hand, why would they sell them on an island packaged to go, unless you could take them with you? The German customs office website brought some answers. Their general brochure warned about bringing plants back to Germany, noting that some cacti species were protected. The protected species database indeed listed Spanish cacti as protected, but allowed for their sale within the EU – as long as you have proof of purchase. The answer is therefore to buy from a reputable shop or at a supermarket, and to make sure that you get a decent receipt. Buying from a street vendor at a market is probably not such a good idea. But even then be warned: not every type of cactus is allowed, so if you see something exotic it might be worth checking with your country’s customs office first, or just not bother and leave the cactus on the island. Take a photo instead! 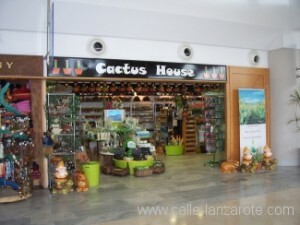 The “Cactus House” is situated airside in Lanzarote Airport, ie. after you have checked-in your luggage and been through the security screening. Here you can buy a wide range of cactus plants and accessories, and the only place to take them is onto the plane with you. But hang on a moment, aren’t cacti sharp objects…?